Originating in Ireland, Irish dancing is a traditional dance form that includes both social and performance opportunities. It encompasses a wide variety of styles for solo, pair, and group dances. Many people think of step dancing, such as that associated with the popular Riverdance, when they think of Irish dancing. However, this type of dancing includes many dances and variations of these dances that can be enjoyed and mastered beginning at a very young age. Social Irish dancing can be divided into two styles, céilí and set dancing. Irish set dances are danced by four couples, or quadrilles, in a square formation. Céilí dances are danced by groups of dancers consisting of two to 16 members in various formations, or ceili. Social Irish dancing is extremely traditional, with variations of the dances found throughout the Irish dance communities. Traditionally referred to as "stepdance," performance Irish dancing became popular in 1994 with the creation of the world-famous show "Riverdance." Performance Irish dancing is recognized by rapid leg movements accompanied by stationary upper bodies and arms. In competition, most performance step-dances are danced solo, characterized by a controlled upper body, straight arms, and precise movements of the feet. Performance Irish dancing can be performed in either soft shoes or hard shoes. Traditional solo Irish dancing is commonly referred to as Sean-nos. Closely related to casual Irish step-dancing, Sean-nos is recognized by extremely low to the ground footwork, free arm movements, and battering steps that accompany the accented beats of the music. 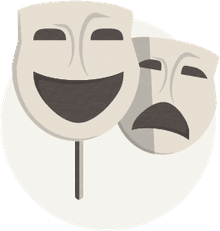 Sean-nos is usually danced by only one person but can be danced in pairs or small groups. However, being a freeform dance style, there is no physical contact between the dancers and no set choreography or routines to follow. Ceili Irish dancing is a popular form of folk dancing in Ireland. The term "ceili" refers to a social gathering featuring Irish music and dancing. Ceili Irish dancing can be performed in lines facing each other, circular formations, long line formations, and quadrilles. A ceili dance may be performed with only two people, or as many as 16. Ceili Irish dancing closely resembles Irish step-dancing, with dancers performing on their toes. Unlike square dancing, ceili dances are generally not called by a caller. 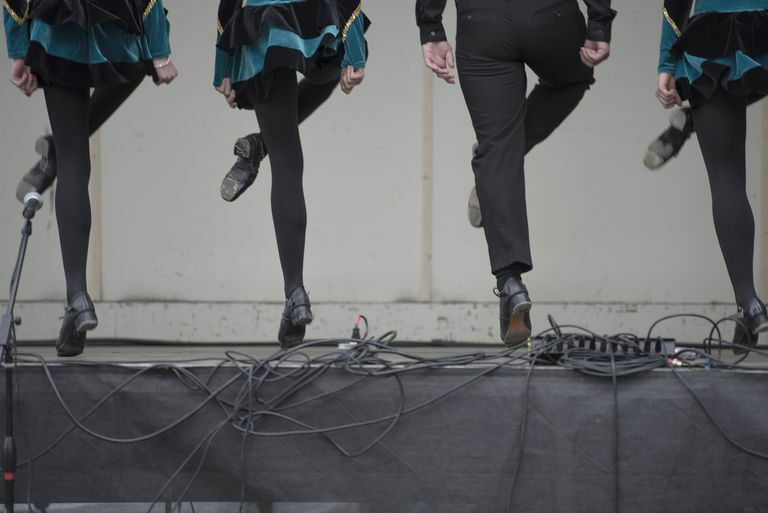 Made popular by the world-famous show "Riverdance," Irish step-dancing is characterized by a stiff upper body and quick, precise movements of the feet. Stepdance competitions are very popular throughout the world. Most competitive step-dances are solo dances, but many step-dancers perform and compete in large or small groups. Solo Irish step-dances can be divided depending on the type of shoe worn: hard shoe and soft shoe dances. Irish step-dances include reels, slip jigs, hornpipes, and jigs. Traditional Irish costumes are worn by both social and competitive step-dancers. What Is the Lyrical Dance Style?